Increase your understanding of and confidence addressing perinatal emotional complications. Develop your own language to address concerns about emotional health and gain hands-on practice using validated screening tools. Explore case studies about breastfeeding challenges, assessing a postpartum family, and what to do if the baby is your "client." Make new contacts and leave with concrete ideas for enhancing your local referral network. ﻿We are grateful to the Birth to Three Family Center for hosting this training. The Birth to Three Family Center is inside the 15 Market Street Building (Family Dollar Store is visible from Market Street). There is a parking lot in the rear of the building that is accessed from Hammatt Street. You can enter the building in the back and Birth to Three will be on your right. ​﻿Registration is required and space is limited. Refund Policy: The registration fee is refundable in full through April 16. 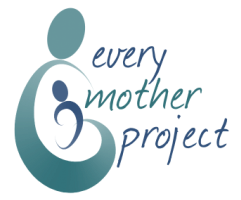 Midwives and doulas who are called to a birth and notify us (info@everymotherproject.org) by April 30 will receive a refund less $10 processing fee.